Born in Dudley as Stanley Lawton, he started his show business career as a ventriloquist, when he left home at the age of 14. He became known as "Lew Lane" due to a misreading of the way he had written his surname (Lawton) and this stuck thereafter (it also meant that he did not require a change in his signature !). Still as a teenager, he teamed up with another local Water Rat, Al French, to form a double act and put on their own shows (usually just the two of them) in the Midlands whenever they could convince a local Church Hall to accept a split of the proceeds. A spell during the Second World War in the RAF and ENSA (The Entertainments National Service Association but better known as 'Every Night Something Atrocious' and later the Gang Shows (with Water Rat Ralph Reader) gave him a well rounded background in compering and staging shows. This pushed him into his future direction on being demobbed. Lew was mostly known for his association, and lavish productions (1958 to 1980), at the Harry Meadows owned 21 Club (Mayfair) and Churchill's Night Club (Bond Street) during the time that night clubs were very much in vogue and had big floor shows twice nightly. This was Lew's forte until their decline and the eventual closure of Churchill's in 1980. The demise of night clubs was frequently cited to be as a direct loss of 'expense accounts' through government legislation stopping these as allowable tax deductions ! Thereafter Lew was freelance and staged, directed and produced many other theatrical productions especially involving variety and Music Hall acts (including Surprise Surprise at the New London Theatre) as well as a brief association with another night club, the Mayfair Connection (Previously the Astor Club). 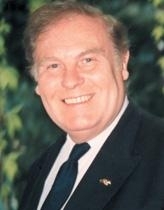 For a number of years Lew was an active executive committee member of the EABF (now known as The Royal Variety Charity) as well as being a very active President and Past President of the British Music Hall Society. He had a near encyclopedic knowledge of Music Hall and Variety Acts and contributed to many books and broadcasts on the subject. He had one child (Martin) with his former wife, Pearl Squires, and was a devoted grandfather to Tabatha and Daryl.